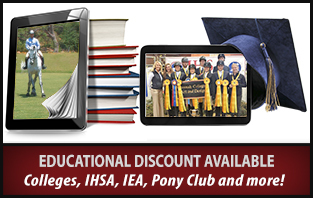 Membership to EquestrianCoach opens the door to a wealth of knowledge provided by some of the best riders, coaches and industry professionals the world has to offer. Weʼve produced a library of hundreds of instructional videos and we continue to amass topics every month. The core instruction on the site follows the principles of the American Hunter/Jumper Forward Riding System and will benefit those in any jumping discipline at any level. 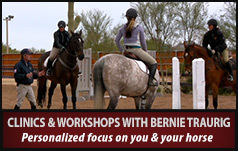 Additionally, we bring you the best from Dressage, Eventing, and Western Reining Olympians and World Champions, not to mention top veterinarians, farriers, judges, course designers, sports psychologists and a wide array of accomplished equestrian specialists with years of expertise to share. With hundreds of videos to choose from, it’s easy to get overwhelmed. We’ve created a “Must-See” selection of topics that speaks to every level of horse & rider and outlines a progressive training system. 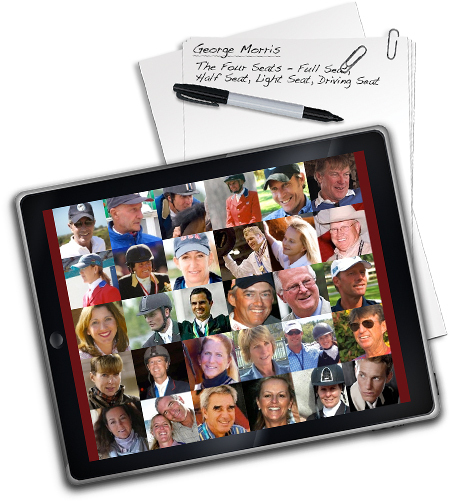 We round up the most talented equestrians on the planet, capture their expertise on video and deliver it directly to you. Our coaches are industry super stars, covering topics in many disciplines including Hunters, Equitation, Jumpers, Dressage, Eventing & Western Reining.